The Gloustershire Hotel offers 95 spacious rooms most of which overlook the beautiful Caribbean Sea. It also features a restaurant, bar, outdoor swimming pool, several sundecks and gaming facilities. 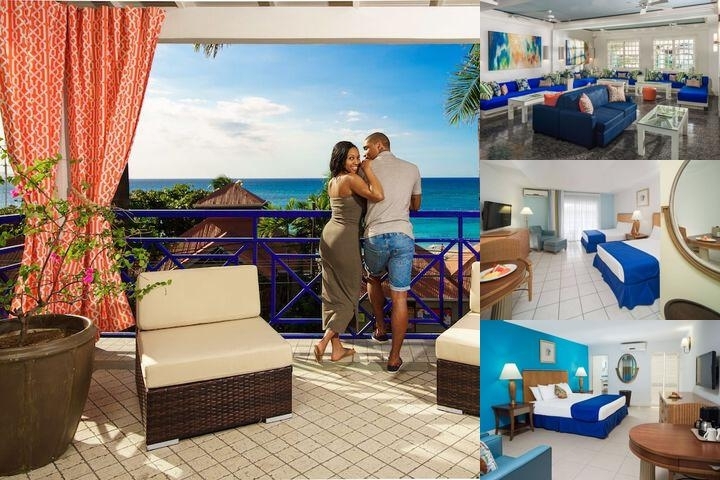 It is the PERFECT VACATION SPOT, centrally located on the ”Hip Strip” in front of the famous Doctor's Cave Beach and only 2 miles away from the airport and city center, surrounded by many restaurants, bars, nightclubs, watersports, shopping and other forms of entertainment. Experience the best of Jamaican hospitality starting with a sumptuous buffet breakfast all included in your room rate. These are just some of the many reasons the Gloustershire is favorite among many vacationers worldwide. 72 hrs individual, 14 days 10 rooms and over. Details on request. Donald Sangster International Airport (MBJ)5 minutes drive away. Taxi service at a cost of appr. US$10 one way. No shuttle service.